The cliche of “chemistry” explains more creative relationships than the happy ones. Like chemical components, some collaborators mix well, working sympathetically or symbiotically, and some react poorly, even combustively, when they’re brought together. Jazz, as a form of spontaneous, collective collaboration, is heavily dependent on the chemistry of its creators, and volatile combinations sometimes produce results more interesting—or at least more exciting to watch, if not to be part of—than those with benign chemistry. 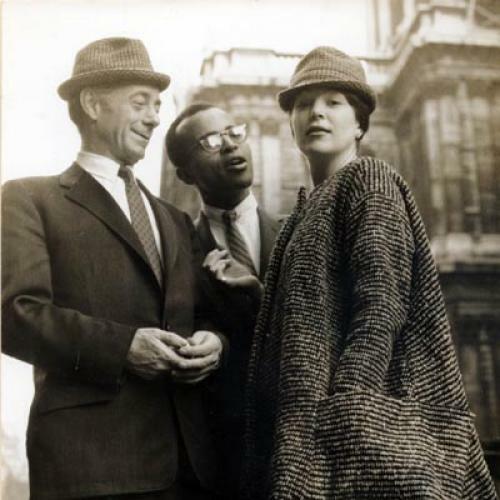 Annie Ross and Jon Hendricks, the jazz singers, have been performing together, on and off, since 1957, when they joined the vocal arranger and singer Dave Lambert to form Lambert, Hendricks and Ross, the group that perfected the emerging art of jazz vocalese—the setting of complex instrumental parts and solos to lyrics. It’s an art that calls for equally high levels of virtuosity, dexterity, presence, and imagination, and no vocal group before or after has had them in the measures of Lambert, Hendricks and Ross, as we can see in the ever-mind-blowing films of the group in its prime in the late ’50s and early ’60s. Here are two clips from the precious little surviving footage of these singers together: “Doodlin’,” their adaptation of the Horace Silver song, performed at the Newport Jazz Festival in 1960, and “Every Day I Have the Blues,” their version of the Joe Williams-Count Basie number, in a performance for TV in the same period. Ross thawed first, warmed by the upcoming occasion of Hendricks’ ninetieth birthday. This past week, Hendricks and Ross reunited for two sets per night over three nights at the Blue Note in New York, and the run was a phenomenon of chemistry in all its possibilities. I saw the first set on the second evening. There were moments of glorious, swirling musical and personal harmony, and points when both Hendricks and Ross seemed about to explode, and all of it was not just historic, but kinetic and alive in ways that have nothing to do with nostalgia. I would say something sentimental about having seen something that I’ll probably never see again, but I’ve said that after at least three previous Hendricks and Ross shows. I’ve never been more glad to be wrong.